Goodreads Description: In a time when Shadowhunters are barely winning the fight against the forces of darkness, one battle will change the course of history forever. Welcome to the Infernal Devices trilogy, a stunning and dangerous prequel to the New York Times bestselling Mortal Instruments series. 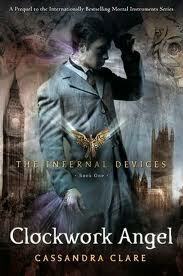 Why it’s worth it: First off, Cassandra Clare is a wonderfully amazing author. I am incapable of letting people ask “What should I read next?” without screaming HAVE YOU READ CASSANDRA CLARE? That said, most people are familiar with her The Mortal Instruments series, which I also love a lot. However, I honestly think that this series is more strongly written than the TMI books–and also is a tighter, more thoroughly planned trilogy. The Infernal Devices series has all the elements that I love in the first series, while being set in a more Steampunk setting. 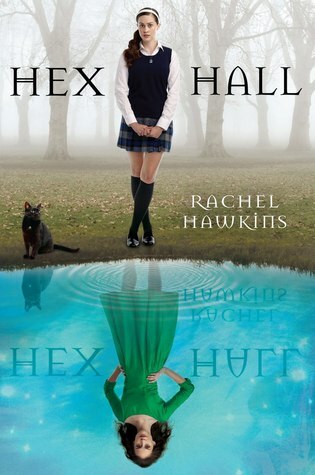 The characters are a bit more complex and the plot line deals with more issues than just magic/action/thrills. That said, they read REALLY fast and are good for plenty of heart-pounding and emotions and laughter. ALSO THE ROMANCE. I have never been more on the fence with who I wanted the main character to pick in a love triangle. Yes, love triangle. BUT A GOOD ONE. Cassandra Clare basically only wrote this love triangle because Holly Black told her that no one could ever write a good love triangle. Clare succeeded big time. …just talking about them now makes me wish they were here at school with me so I could read them again and again and again. Anyways, if you were looking for a gateway into Cassandra Clare’s world, LOOK NO FURTHER. There is definitely some debate on how best to read the series (since they interlock in weird ways, given the order in which they were published), but starting here will show you all the best that Clare has to offer, which will get you through some of the not as strong showings in TMI.